RTD‘s A Line Train, to Denver International Airport, is officially opening this Friday, April 22nd, 2016! 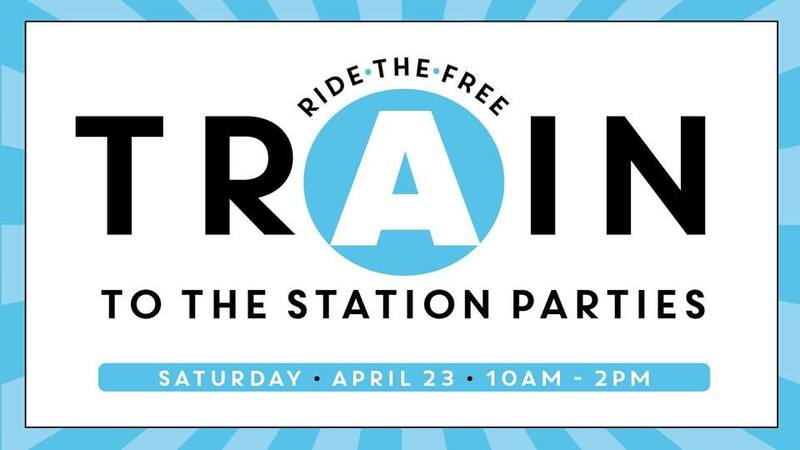 To celebrate the new light rail, RTD is hosting special station parties at every A Line station on Saturday, April 23rd, 2016! The University of Colorado’s A Line is 23 miles of rail that is making local and international travel easier than ever. The new line will open on April 22, 2016, providing easy, affordable and reliable connections between downtown Denver, Denver International Airport, and the many communities along I-70. The A Line Train will take commuters from Union Station to DIA within 37 minutes! Trains will arrive every 15 minutes and and the fare to the airport will be $9 per person. In honor of this grand-opening, commuters will be able to travel the University of Colorado’s A Line train for FREE both days till 9pm and FREE on all rail lines (C, D, E, H, W) on Saturday, April 23rd, 2016 from 5am – 10pm. Start your journey downtown with the RTD Experience and enjoy free rides on all rail lines this day. Highlights include a live iron pour presentation, kid activities, local beer, cider, wine garden, artist and makers booths, chalk art, live bands and the Denver Flea Spring Block Party (as featured in our Spring Festivals 2016 Colorado guide). There will also be an Art dedication at 2pm & 2:30pm. Highlights include family friendly activities, entertainment, food trucks, and more with a focus on keeping families healthy and active. There will also be an art dedication at 1pm. Highlights include include worldly cuisines, kid adventures, global arts and culture, healthy living, and community resources with a focus on global arts and culture. There will also be an art dedication at 12pm. Highlights include the RTD Experience, learn more about the future R Line, enjoy food trucks, games and activities for the kids with a focus on fun and transportation. There will also be an art dedication at 11am. Highlights include a variety of cultural dance, a global fashion show, and musical entertainment while sipping on delicious Mexican hot chocolate, coffee, and tea with a focus on artistic expression from around the world. There will also be an art dedication at 10am. Highlights include professional kite flyers, kite making, food, music, entertainment, and a glimpse of the future Panasonic Enterprise Solution Company campus (coming in late 2016) with a focus on Denver’s Corridor of Opportunity. Highlights include spectacular new art, international food, music, entertainment, and activities on a new open-air plaza with a focus on connecting you to the world. There will also be a grand opening ceremony from 10am – 12pm. Join Governor Hickenlooper and other special guests to commemorate the opening of the University of Colorado A Line! Service will begin running directly after the ceremony. The University of Colorado A Line has 8 stations total, including Union Station and the Denver Airport Station. Six of these stations will provide 4,329 additional parking spaces. Parking fees may apply.